Serbia is a country of over 7 million people, with nearly 1.5 million people living in the capital city, Belgrade. This country used to be the political heart of Yugoslavia; now, Serbia is best known for its hearty food, beautiful monasteries, and historical monuments. 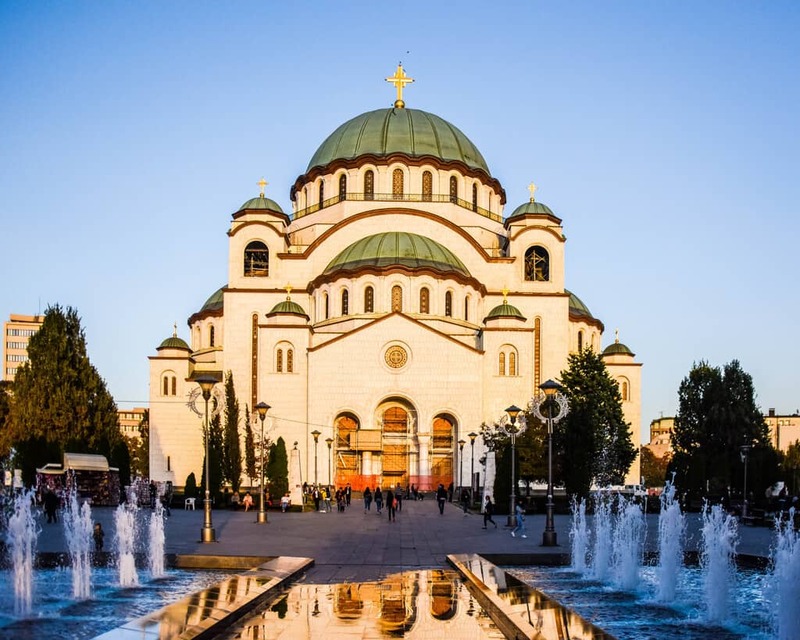 Belgrade is the bustling capital, home to cafés oozing with cool, delicious international restaurants, bustling pedestrian streets, and of course, some of the best nightlife in the Balkans. It’s best known for its massive fortress at the head of the confluence of the Danube and Sava Rivers, Kalemegdan Park, and the lively Knez Mihailova Street in the heart of downtown. The autonomous region of Vojvodina to the north includes Serbia’s best wine-producing region, Fruška Gora, and countless beautiful, historic monasteries. The city of Novi Sad is best-known for the annual EXIT music festival, but as it is the European Capital of Culture for 2021, we expect it’ll soon be known for its colorful houses and vibrant arts scene. Subotica is a delightful surprise 10 kilometers from the Hungarian border, filled with Art Nouveau architecture in a palette of beautiful colors. Meanwhile, offbeat Kragujevec and Niš further south offer a look into Serbia’s sobering history, with important WWII sites and monuments.